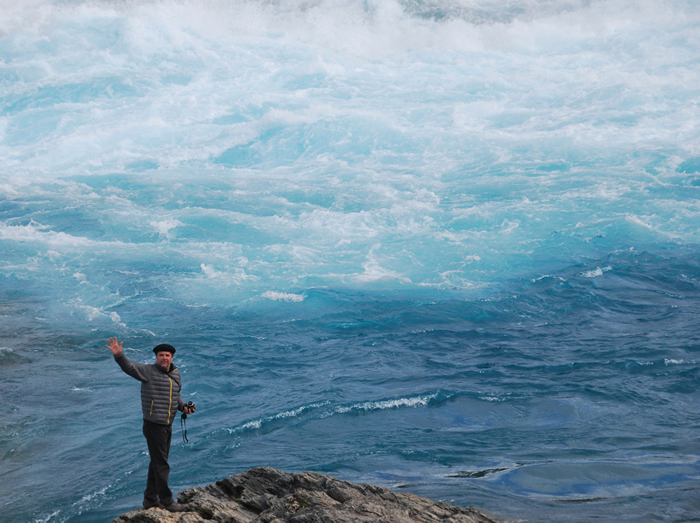 Discover the spectacular nature of the southern Carretera Austral during this guided group tour. 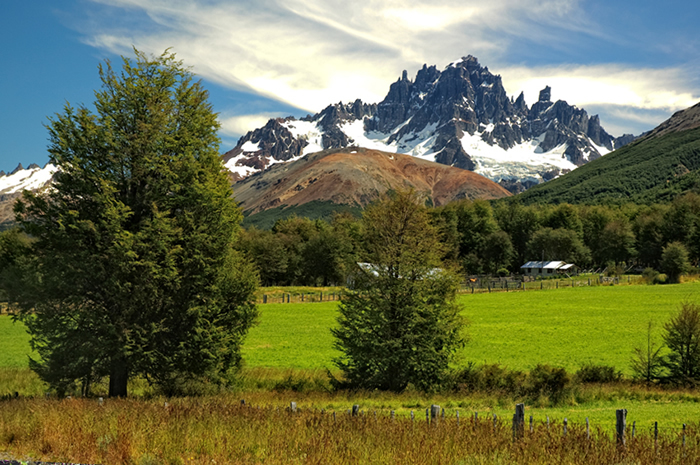 Upon your arrival to the airport, we will be waiting to begin this journey along the Southern Carretera Austral to the village of Puerto Tranquilo, 182 km away. It is a small town located on the western shore of Lago General Carrera, the second largest lake in Chile and South America with turquoise water. On a tour through the Cerro Castillo National Reserve, you can see beautiful beech forests, ciruelillo, coigüe and ñire, and will have lunch at Miss Mary Casona, a restaurant serving typical homemade food. 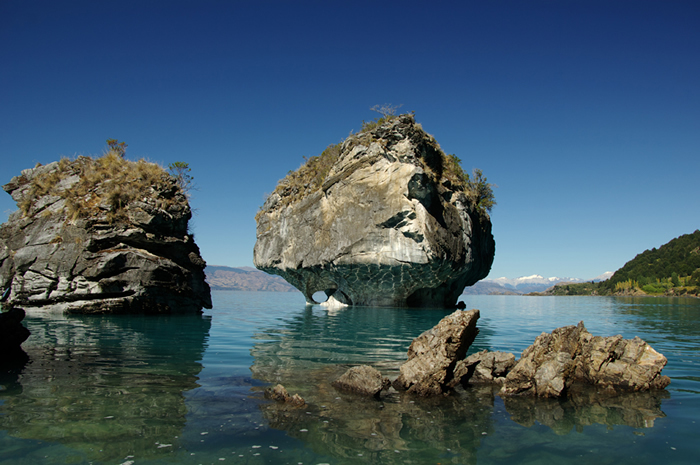 Continuing the journey south, you will reach Puerto Tranquilo and take a small boat to the spectacular of Natural Marble Chapels. This is a place of unique scenic beauty, where the waters of the lake have eroded and polished the limestone, forming very attractive caves. Accommodation and dinner in Puerto Rio Tranquilo. After breakfast, departure to the Tamango National Reserve, located approx. 125 km away near Cochrane. You will cross the river by a boat with simple but secure features and enjoy the wonderful scenery. Disembark at the dock for a mid-range trekking activity for all age groups and fitness levels. 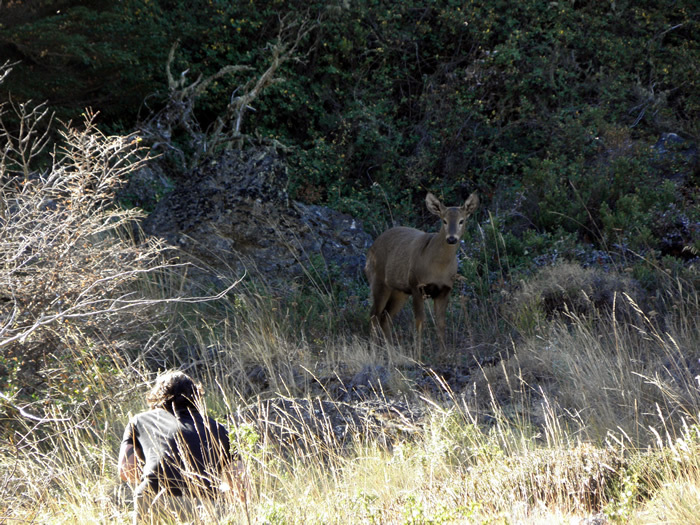 If you are lucky, we will see some huemul (Hippocamelus bisulcus), which live there. Lunch in Cochrane. Later, you return to the Lake General Carrera and can appreciate the beauty of the Baker River, the largest river in Chile. The confluence of the Baker and Neff Rivers along the way is really woth a stop! Accommodation in Puerto Río Tranquilo . Breakfast and early departure to the Exploradores valley. From Puerto Río Tranquilo you will head west along the beautiful valley, where you can appreciate nature in its natural, pristine and wild state. 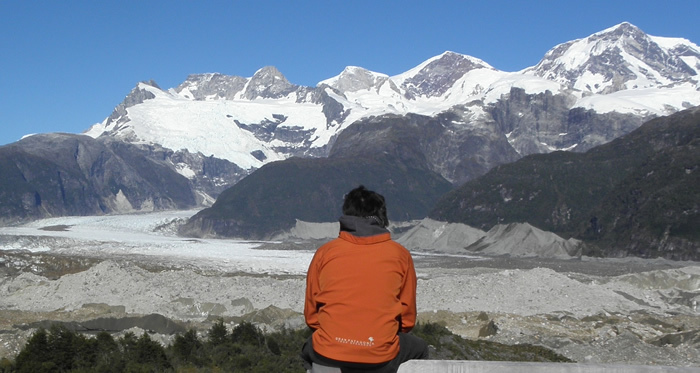 After traveling 50 km, you begin a walk of medium difficulty, crossing an evergreen forest and later on a moraine to the Exploradores Glacier viewpoint. Once there, you can appreciate the vastness of the Northern Ice Field, Mount San Valentín and Exploradores Glacier. Return to Puerto Tranquilo to have lunch at a Restaurant & Brewery. After a break, you will travel to the regional capital of Coyhaique, 218 km away. Accommodation in Coyhaique. Breakfast andarly start to the Equestrian Camp. 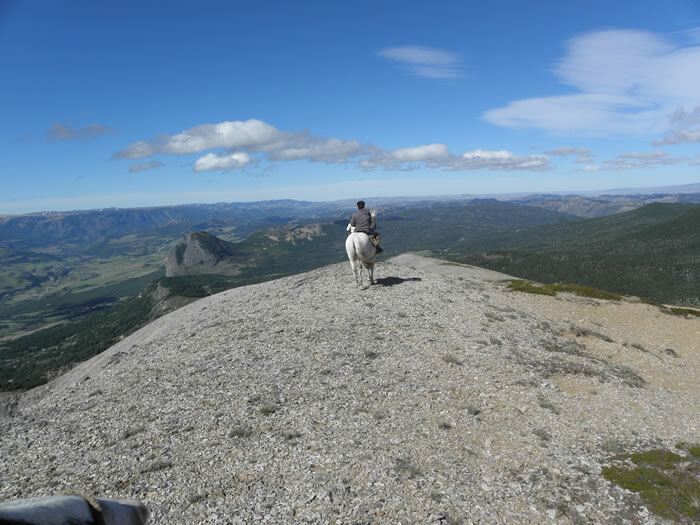 You will saddle the horses and go on a ride of medium difficulty to the summit of the Franciscanos hill. The route provides a view of the whole valley of Coyhaique, Frio Lake through forests of beech and ñire. If you are lucky, you can see condors soar overhead. Upon reaching the summit, enjoy the beauty of the landscape then head back to the camp, where a rich country style barbecue will be waiting. At the end of the day return to the Balmaceda airport.